The 15 Amp P-1800 AR delivers a stable 120 volts of AC power to protect equipment from problems caused by AC line voltage irregularities such as sags, brownouts, or overvoltages - all of which can cause sensitive electronic equipment to malfunction or sustain damage. The P-1800 AR accepts input voltages over a wide AC voltage range and transforms it to a constant output of 120V, ±5V. Voltages beyond that range may also be converted to usable levels, depending on the range variance. Additionally, the P-1800 AR is a full-featured power conditioner that filters and purifies AC power, reducing line noise and ensuring optimum performance. Not only will your equipment perform better with Furman’s Linear Filtering Technology (LiFT), but it will also be fully protected by our exclusive Series Multi-Stage Protection (SMP), and Extreme Voltage Shutdown (EVS). This circuitry provides the highest level of power protection available. 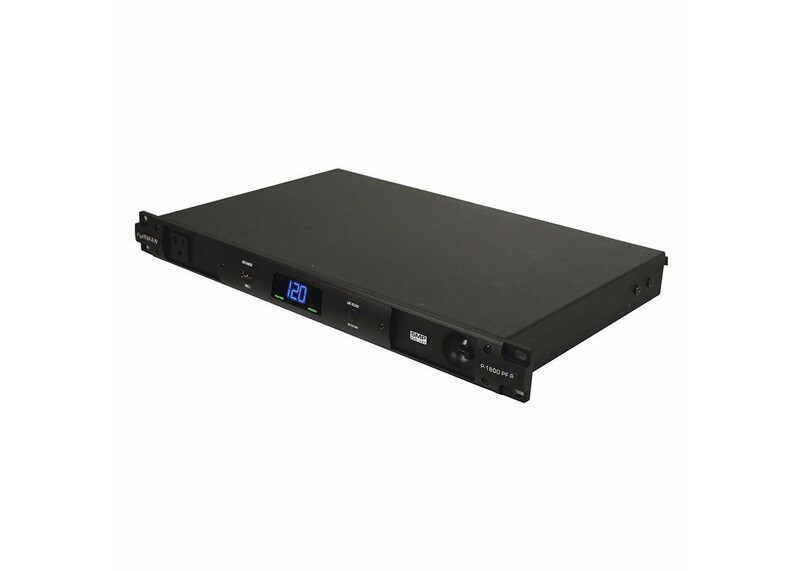 • Furman’s exclusive SMP technology provides the highest level of surge & spike protection available. • LiFT offers AC power filtering to ensure clean power for unequaled audio & video clarity. • Advanced EVS circuitry detects dangerous voltage irregularities and safely powers down itself and connected equipment in unsafe conditions. • LED status indicators warn you when voltage is outside of nominal range or when protection has been compromised. • True RMS Voltage Regulation delivers a stable 120 volts of AC power to protect equipment from problems caused by AC lne voltage irregularities. • Front panel USB convenience outlets allows you to charge most media devices or power a USB lamp. • Large digital voltmeter / ammeter, with discrete dimmer button, displays line votlage and true RMS current draw. • Isolated outlet banks minimize inter-component interference and noise contamination. • Three widely spaced outlets accommodate bulky AC power transformers. • 15 Amp rating featuring a high inrush magnetic circuit breaker for added protection. • Nine total outlets (8 rear panel outlets and one front panel convenience outlet). • Rear panel BNC connector powers any standard gooseneck lamp for rear rack illumination.